The shattering news of a large avalanche disaster on Friday 16th March 2018 in the Vallon d’Arbi, with probably 4 resulting fatalities, is an unfortunate lesson to us all of the huge potential risk of gliding snow avalanches which exists throughout the season. 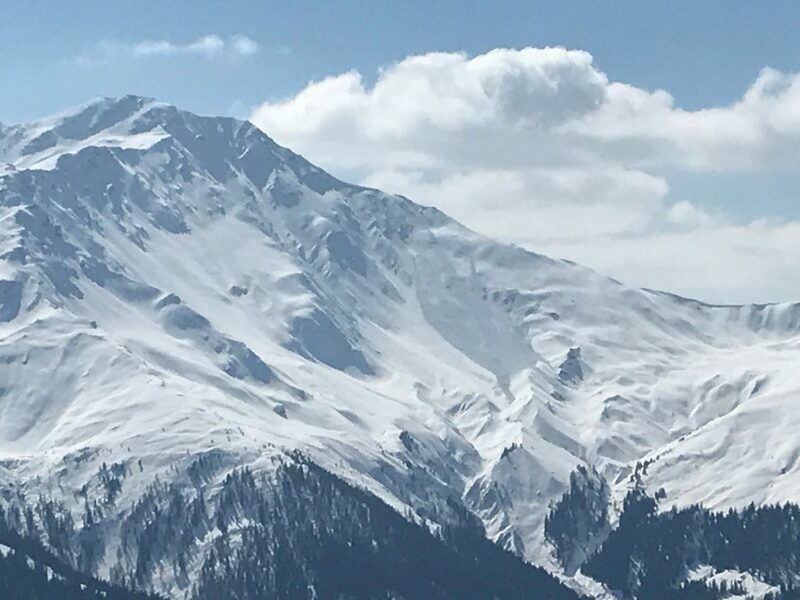 The latest avalanche reports for our area of Switzerland mention an increased risk of these type of avalanches, which it is important to be aware of when skiing anywhere off-piste, even in well-frequented off-piste areas, near to itinerary routes and other piste-markers. 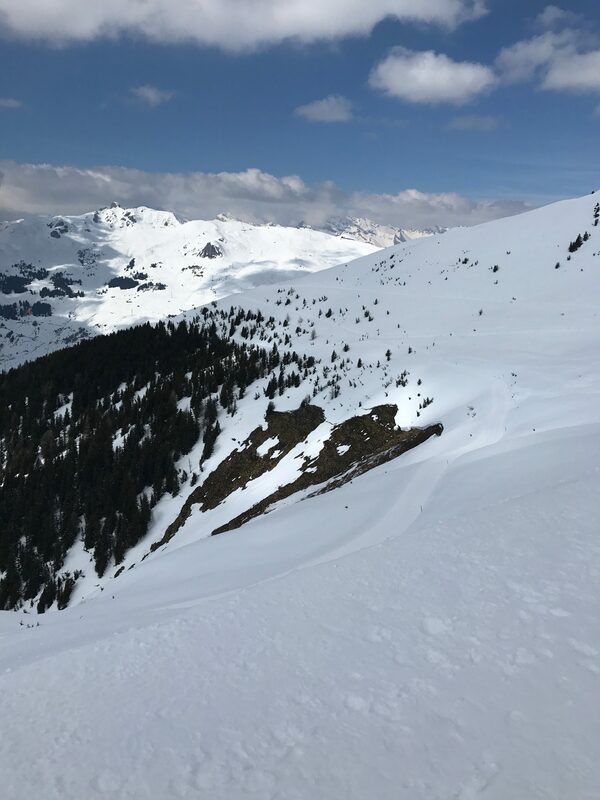 Although not located on an itinerary route, the avalanche in Vallon d’Arbi was sadly located very close to the itinerary route markers, where skiers probably believed they were close enough to a marked route to be safe from avalanche danger. This season, the cold powder snow which fell on 10th & 11th December 2017 landed on very warm ground. 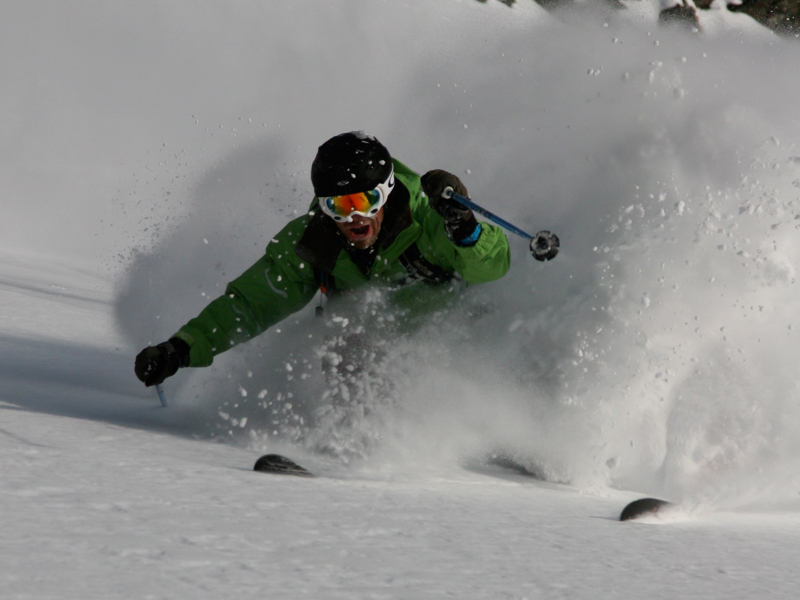 The conditions were amazing and many of us enjoyed the fantastic powder and face shots all the way down to Sembrancher. However, the process which followed led to some very large glide cracks appearing. In laymen’s terms the idea is that the snowflakes manage to extract moisture from the ground. This moisture then rests between the snow, and part of the snowpack is able to slowly ‘glide’ downhill, leading to glide cracks appearing. To understand how these glide cracks have formed the SLF are currently researching in more detail the precise relationship between the melting of the lowest snow layers by the warm soil and the capillary forces of the cold snowflakes. Smooth soil, such as slabs of rock and / or turned grass. A steep enough slope, although a slope of only 15° can suffice. So-called ‘fish mouths’ which are cracks through the entire snow cover, characterize most of the tear marks. Most of the sliding snow avalanches start from below the opening of these ‘fish mouths’. A sliding snow crack that spreads over days, weeks, or even months can accelerate suddenly and depart as a sliding snow avalanche, whereby the entire snowpack slides off the ground. Because it’s possible that this can happen at any time and without any trigger, unfortunately these avalanches are unpredictable. The areas around and under fish mouths must be avoided at all times, as far as is possible. You should never stay longer than absolutely necessary below a fish mouth. The impact of a gliding snow avalanches is devastating and due to the nature of these avalanches, the snow is usually as hard as concrete. It destroys everything in its way, including your ABS backpack. In such a case, rescue teams needs heavy equipment to dig you out, if they can find you at all. 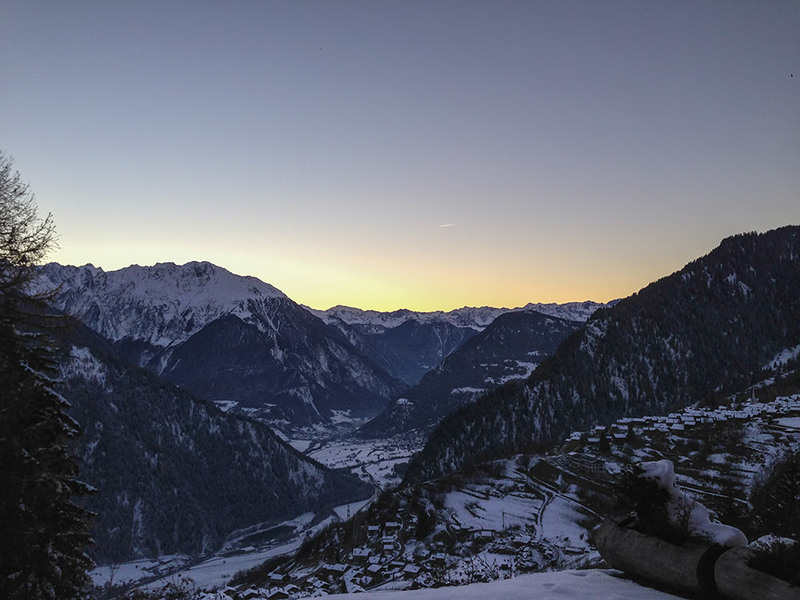 Here in Verbier, ‘fish mouth’ tears are relatively obvious and visible from east to south to west from heights of 2600 meters. Unfortunately this problem is also likely to intensify with increasing warming and the new snow of the last days. 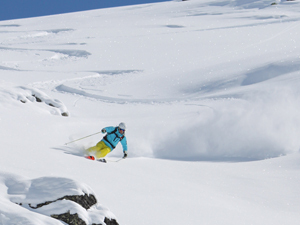 The main types of avalanches that occur during the winter season are dry slab avalanches, which can be triggered by skiers and snowboarders, or even animals. 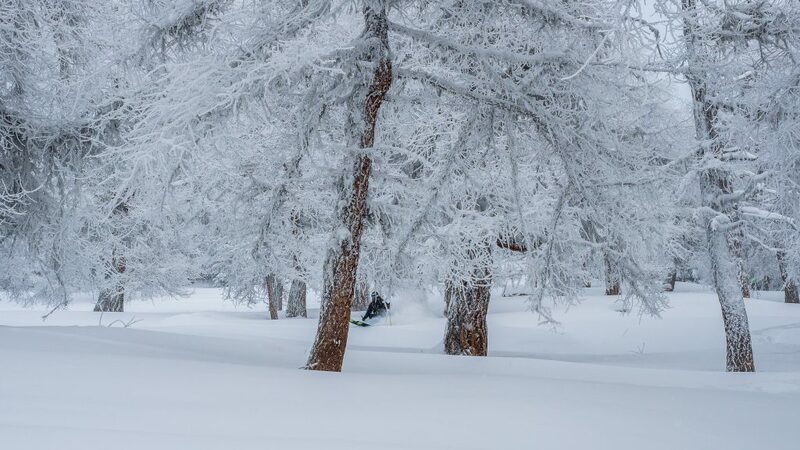 Snow builds up in layers and wind can also cause accumulations of snow and cause avalanche dangers. Weak layers can form, and suddenly this layer lets go. The main risks for dry slab avalanches at the moment in our region of Switzerland are from old snow and snowdrifts mainly on slopes facing west, north and east, and above 2200 meters. As mentioned in the last avalanche report, fragile layers can trigger avalanches to a medium size. The danger spots are virtually undetectable and require a defensive route choice. Loud noises and cracks when entering the snow cover can indicate the danger. In addition, arising with the recent north wind there is a risk of snowdrift accumulations on all exposures. As the altitude increases, there is a proportional increase in risk.